Susan Page Davis here. 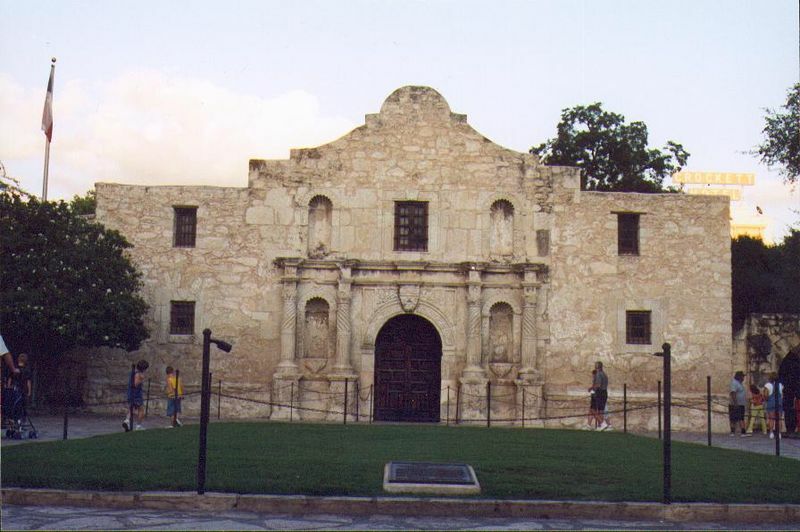 Most of us recognize the name of Mexican General Santa Anna (that’s Antonio Lopez de Santa Anna) because he won the battle of the Alamo. He’s usually cast as the villain in our movies and textbooks. But we have something we can thank him for—chewing gum! General Sam Houston took Santa Anna prisoner, and over the years he was captured, returned to power, recaptured, and exiled several times. While he was in exile, he chewed gum. 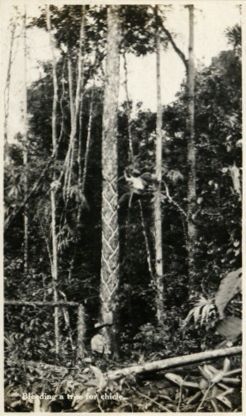 That is, he chewed chicle, the dried sap of the sapodilla tree that grows wild in Mexico, Central and South America. Reportedly, chomping on chicle calmed the ex-dictator’s nerves. He was exiled in several places of over the years, including Cuba, Jamaica, Columbia, the then-Danish island of St. Thomas, and the United States. While he was living in exile in Staten Island for part of his final exile, he had chicle sent to him from Mexico so that he could continue chewing. 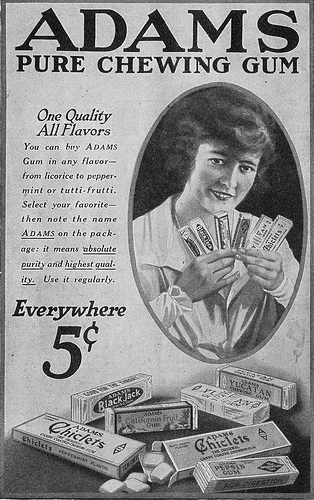 The first flavors of chewing gum came from Adams: sassafras and licorice. 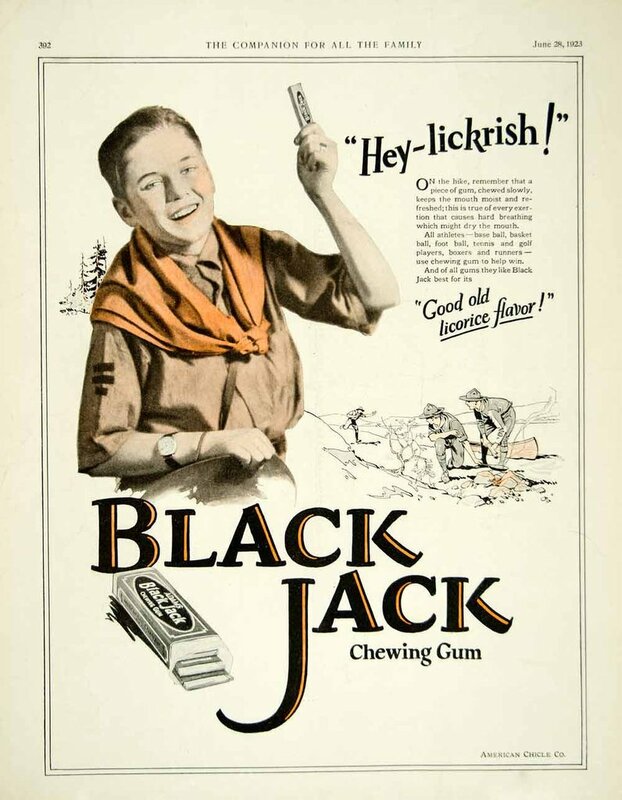 The licorice flavor, which he called “Black Jack,” is the oldest flavored gum on the market. The gum was sold as Adam’s New York Gum. Santa Anna returned to Mexico under a general amnesty offer in 1874, and he died two years later, but the idea had already taken off. Bubble gum was first developed by Frank Fleer. He started making gum around 1885. The first attempts were disappointing. The bubbles were so sticky they were hard to scrub off a child’s face. By 1928 he had mastered it and produced a gum that stayed together when chewed and blown, and also snapped back. The drier bubble was not so hard to scrub off. He called it Dubble Bubble, and it is still the largest selling brand of bubble gum in the world. 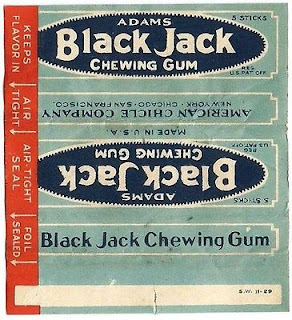 It wasn’t long before companies were producing synthetic gum bases that were more uniform than chicle, easier to control, and harmless if swallowed. After World War II, chicle was not used much anymore. Today we chew mostly polyvinyl acetate, a synthetic plastic. But we can still thank the erstwhile brilliant general and cruel dictator, who brought us the idea of chewing gum. Captive Trail, Cowgirl Trail, The Outlaw Takes a Bride, Heartof a Cowboy, or Seven Brides for Seven Texans. The winner can choose! Susan Page Davis is the author of more than sixty published novels. She’s always interested in the unusual happenings of the past. Her newest books include Seven Brides for Seven Texans, Mountain Christmas Brides, and River Rest. She’s a two-time winner of the Inspirational Readers’ Choice Award, and also a winner of the Carol Award, two Will Rogers Medallions, and a finalist in the WILLA Literary Awards and the More Than Magic Contest. Visit her website at: www.susanpagedavis.com . What a great post, Susan! We all can identify with chewing gum but I sure didn't know we have Santa Anna to thank for it. My mother now has dementia and one of her pleasures is chewing gum. That's oddly sweet, Melanie. Glad you enjoyed the post. Thanks! Have a blessed Thanksgiving. Thank you for the post. 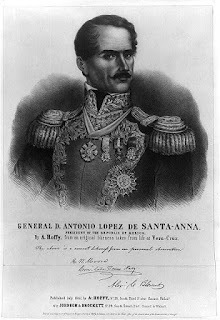 I think I had heard that about Santa Anna before, but I had forgotten it. I didn't know about all the others involved, though. I always like learning new stuff. Have a happy Thanksgiving. Oh, how interesting! I didn't know the origin of chewing gum until now. Thanks for sharing, Susan. Happy Thanksgiving! I certainly didn't know this about the origins of chewing gum! Thanks for this informative post. 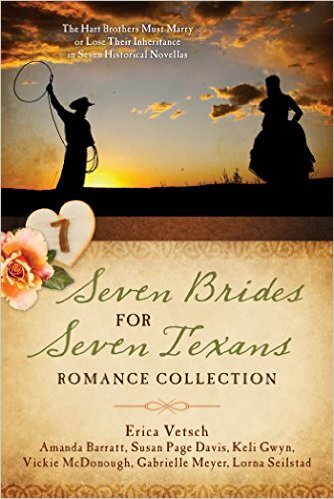 I'd love to win one of Susan's books, especially Seven Brides for Seven Texans. 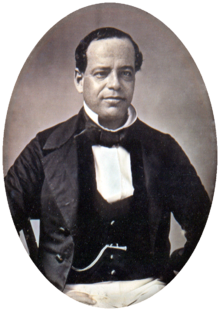 I didn't know Santa Anna was a "chewer." 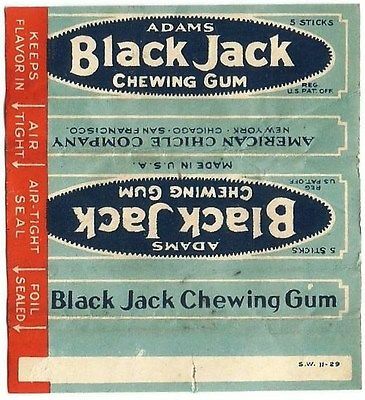 My dad chewed Black Jack and also a cinnamon-flavored Beemon's. Thanks for the memory! So cool...who knew? I would SO love to win this book. Please enter me. Thanks, Debbie, and all of you. Dealing with travel challenges for internet, but hope you all have a great Thanksgiving. Susan is have Internet issues and has asked me to post the winner of her book drawing: Pam Kellogg won a copy of Seven Brides for Seven Texans. Congratulations, Pam! Susan will email you about the book.